**Based on a letter from a former cohouser. Fictional names and places are used in this account. Thanks very much for the very important note and observations. And yes, it’s true that in the book Happily Ever Aftering in Cohousing we talk a lot about establishing a minimum of committee participation of each participant in a given cohousing community. If you have the minimum participation (cook one common meal per month, belonging to at least two committees, and participate with your neighbors 30 hours per year in maintenance projects) then you wouldn’t be stuck with those who aren’t going to contribute and if you have stated minimums in your House Rules, then you don’t have to interview people as much (other than to be sure that they understand the minimums.) And, for sure, a palpable community makes the biggest difference in resales, but you’re in such a desirable neighborhood that you do need to aggressively do something to stem the ebb towards regular condos. In Denmark the only units in cohousing that had a hard time selling were those that ebbed into regular condo land. In other words, of the 46 that we studied in great detail, the one where it was voluntary to cook, voluntary to be on a committee, etc., had a hard time selling units. It ebbed to that place that was dependent on a few busybodies, and broad and fair participation was not agreed on. And it ebbed to where females were doing more of the common cooking than males – just what they set out to avoid originally. Like in Denmark, the number one factor enhancing resale is, “Do you feel the palpable community.” The one in Denmark I refer to was neither fish nor fowl. It was neither cohousing or a regular condo. People want clarity so choose one and be that. Let people know what they are getting into. In that way you set the individuals coming in—and therefore the entire community—up for success. Recently, one of the current Study Group 1 Facilitators asked a question similar to this during our training. I know it is a burning question for many who are interested in living in a community long-term, which is why I can’t emphasize enough that you embrace the cohousing culture that you create and set the community up for success long term. Now in Denmark, almost half of the cohousing communities are limited equity coops, which means they can vet who comes in. That may or may not become the future here. In the meantime, we have to come up with interview provisions that help protect the community aspect and some semblance of affordability. In Berkeley, the cohousing self-imposed a 4.5% cap per year on equity. You can impose whatever covenants you want, but at the same time, you don’t want to limit the market too much. 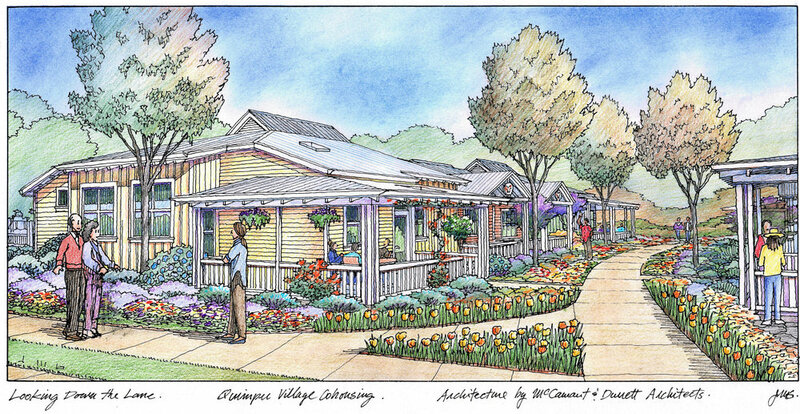 In Elder Spirit Cohousing, the third senior cohousing built in the U.S., when a unit is sold, 50% of the appreciation goes back to the community. It’s one way to best assure that you’re preserving affordability. 4. 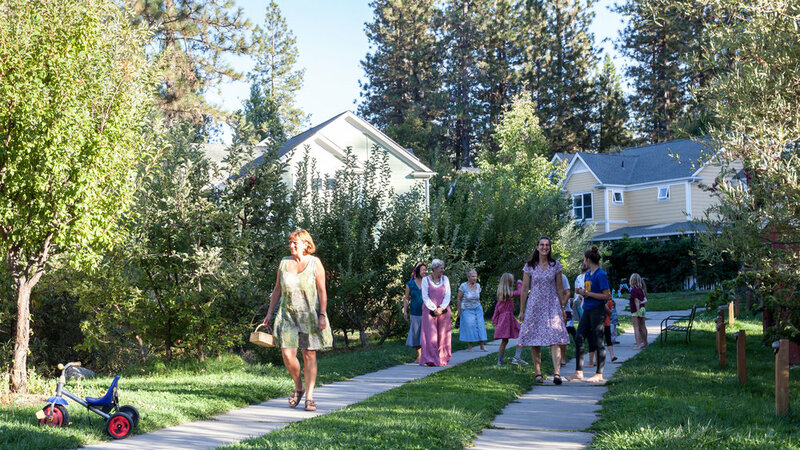 These days, most cohousing communities, like Nevada City Cohousing, ask everyone to sign a participation agreement (I will cook, I will belong to two or more committees, etc.) Then we have four or five elders in our community who remind us all to play our part in making this community work long term. The conversation needs to be amped up around this. Something needs to be done to best assure that people moving in are on board to contribute to the community. Some groups, like Berkeley Cohousing took it upon themselves to implement the cap, and those are the groups who seem to always be filled with happy, caring, neighborly community. As we roll into the holiday season, we are surrounded by community. So much work to be done to get ready for the next party, cleaning up from the last, or maybe shovel the snow from the pathways. When you live in community, it is essential that everyone chips in -- it makes the load a lot lighter and the members much happier knowing that they have support. The tragedy of the commons is real, but can be handily mitigated. No one moves into cohousing to take advantage of their neighbor but it does happen. To ensure that every community member is contributing, minimum participation must be agreed upon before moving in, as described at length in the book Happily Ever Aftering in Cohousing. 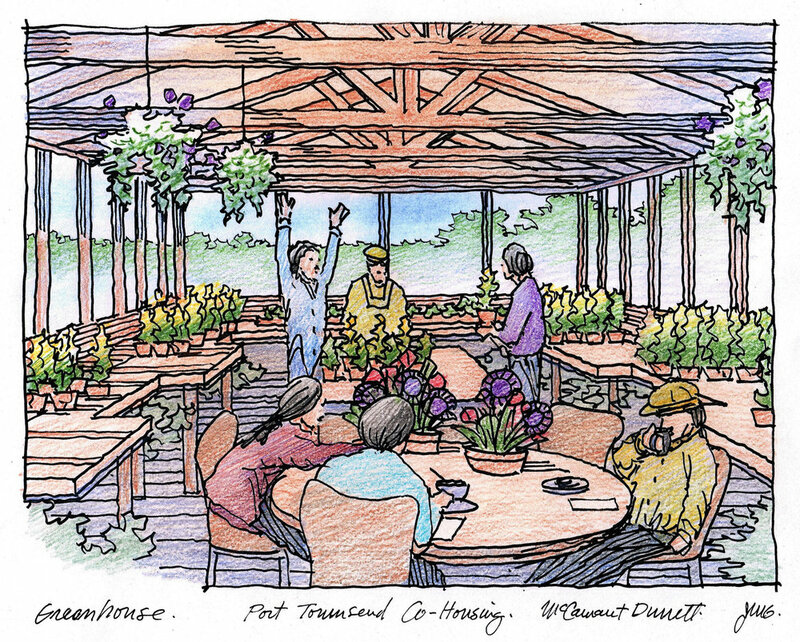 The prosperity and longevity of cohousing depends on it.